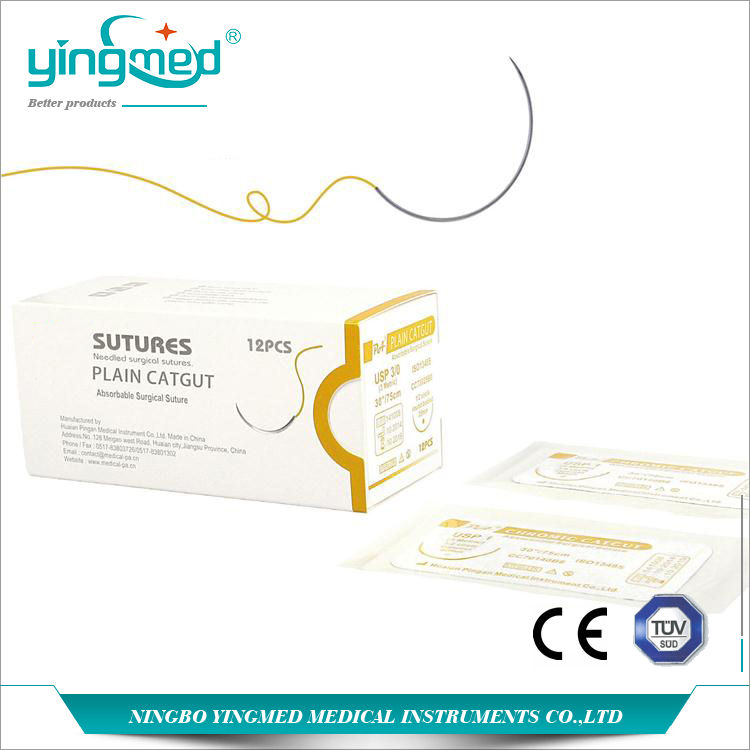 Plaint Catgut Surgical Suture is a regular kind surgical suture which could be absorbed by human body. It is made of the submucosa of sheep intestine or beef intestine. Surgical Catgut Suture is mainly used for suturing the tissue and subcutaneous tissue which could be quick healing, or ligating blood vessels and infected wounds. It is commonly used for uterus, bladder and other mucous layer. We offers different versions for your choose. Do you have any questions about our Plain Catgut Surgical Suture or other requirements? Please do not hesitate to contact with our customer service directly through live chat, telephone or email. We will happy to advise you. Looking for ideal Catgut Suture Thread Manufacturer & supplier ? We have a wide selection at great prices to help you get creative. All the Surgical Catgut Suture are quality guaranteed. We are China Origin Factory of Medical Suture Thread with Needle. If you have any question, please feel free to contact us.